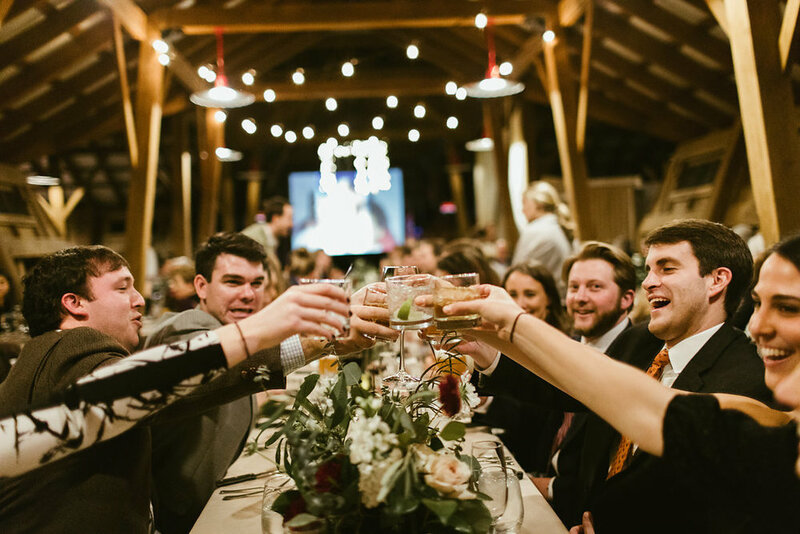 Sarah & Dylan were married this past January and they kicked off their wedding weekend in style with the perfect rehearsal dinner! The entire wedding weekend was at Lake Martin. The Stables at Russell Crossroads was the perfect setting for their dinner with the yummiest food from Springhouse. Sarah & Dylan really are two of the sweetest people, and it was so much fun to hear all of their friends share toasts and memories of the couple. Stay tuned for a post of their wedding! The weekend was truly so beautiful! Thank you MGB Photography for these lovely photos.